Welcome to the Golf Vacation Capitol of the World. 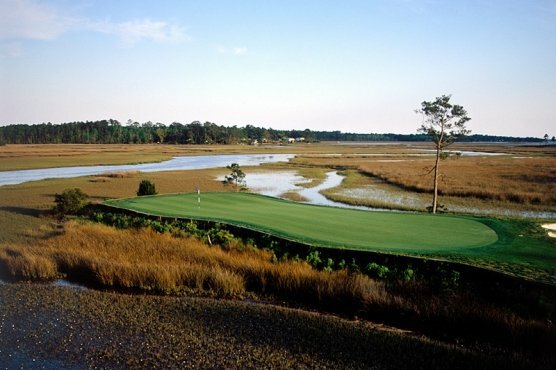 Nobody knows Myrtle Beach golf packages like Myrtle Beach Golf Authority. We have helped thousands of golfing groups with their Myrtle Beach golf packages for over a decade. Come experience the simple, easy, approach to your next golf vacation, by booking with us. Our knowledge, experience and expertise can save you both time and money. We will help you with your accommodations and golf course rounds – all in one place. Weekend tee times (Friday-Sunday) are very tight during the spring and fall golf season. We recommend that you pre-book guaranteed afternoon replays as provided in a few of our pre-set Myrtle Beach golf packages. Saturday afternoon and Sunday morning tee times are the hardest to get due to the late night out on Fridays and everyone heading home on Sunday afternoon. Friday and Saturday nights are your best nights to go out, as most clubs stay open till 4 am. If you are flying in for your Myrtle Beach golf package, the best courses to play on your first day in town is the one closest to the Myrtle Beach airport. There are a number of golf courses close to the airport. We recommended that you leave yourself about 2 hours from the time you land until your tee time. This gives you ample time to get your luggage, a quick bite to eat, get a rental car or cab, get to your golf course and finally, hit a few balls prior to teeing off. Similarly, if you fly in to another airport other than the Myrtle Beach airport, we recommend that you play a golf course that is on the way to your rental property. If you are driving to the area for your Myrtle Beach golf package, play a course on your way the 1st day or last day when driving home. This plan will save you time and you can avoid traffic delays during peak times.